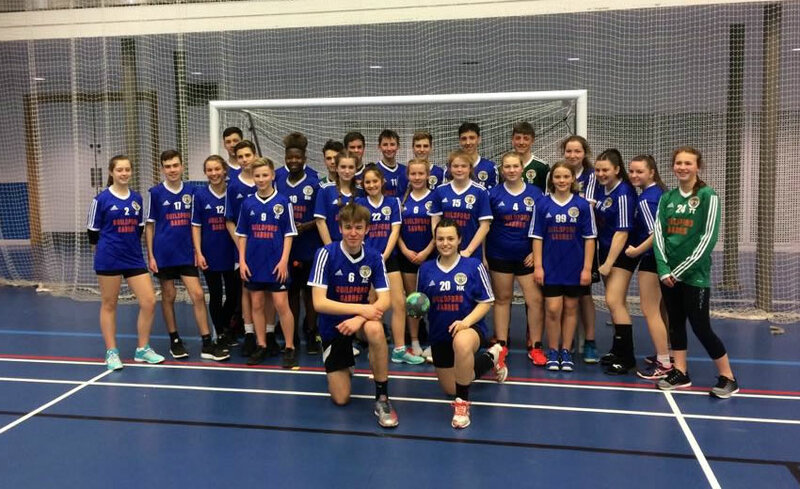 Follow the latest news of the Guildford Sabres Handball Club, Surrey, UK. Guildford Sabres are taking all teams to Bournemouth to play in the Poole Phoenix Handball Festival on 1st July 2018. 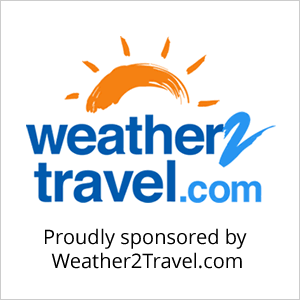 The event will take place at Harewood College, Harewood Avenue, Bournemouth, Dorset, BH7 6NZ. 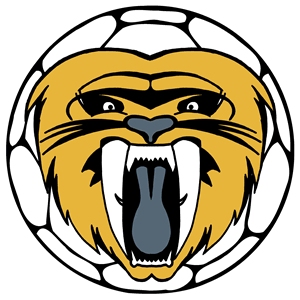 The Guildford Sabres Handball Club AGM and social will take place on Saturday 12th May from 6pm onwards at The Albany, 80 Sydenham Road, Guildford, Surrey GU1 3SA. 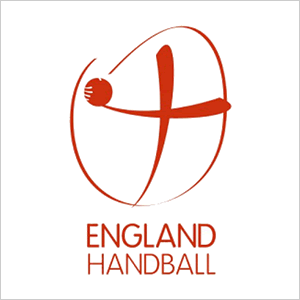 Tickets for the England Handball Finals Weekend have gone on sale from the England Handball Association website. The Finals weekend will take place at Derby Arena on 5th and 6th May 2018. The boys beat Oly Cats and Stroud, lost to Poole Phoenix, but qualified out of their group in second place. The boys played Shropshire Handball in the semi-final and although lost 19-12, proved they could cut it against the eventual winners who go through to play Poole Phoenix on Finals Day. Blessing, Aaron, Kieran and Kyle scored some great goals and proved to be the Sabres’ outstanding players of the day along with Tom in goal who made some fantastic saves in the first two games. The girls played Ealing, Poole and Cannock in their group, and despite a loss to Ealing, fought back with a draw and a win to qualify for the semi-finals. The girls played Stroud in a close semi-final and despite losing a key player to injury, Abi T stepped in at centre and had a great game in the middle. Our U14’s who played proved they could step up an age group and notable performances from Ashley, Emily and Anna showed that in just their first year of playing, they deserved to be in semi-final. Led by Heather, the girls played some great handball and despite the narrow 12-9 loss could feel proud in knowing they had reached this stage of the tournament. Congratulations to Shropshire and Stroud who qualified for the final. The Guildford Sabres men’s team were also in action and produced a professional performance away in Canterbury against Medway Dragons. Goals from Fabio, Hector and Allan proved to be the difference in a 36-14 win. The men now go into the final league game of the season against Islington II with a one goal advantage over Chelsea. Chelsea play Medway on Sunday 8th, so a strong win is needed from the men whilst Chelsea also must win to decide the league play-off winners on goal difference. Congratulations to the mens team who are through to the Shield Final after beating Loughborough University 33-31. The final, against the Coventry Sharks, will take place at the Derby Arena on Saturday 5th May, throw off at 10am. Good luck! A whole day of handball has been organised for Sunday 24th June 2018 down in Poole, Dorset. This is for all of age groups – U14s, U16s and adult teams. 10 hours of handball! UPDATE: The national play-offs have been postponed due to adverse weather conditions. They will now take place at the Derby Arena on Saturday 24th March 2018. Congratulations to both the boys and girls U16’s teams who have qualified for the national play-offs. The second U14’s tournament took place at Bower Park Academy on Sunday 4th February 2018. The cubs had mixed results with the girls losing both their games while the boys won theirs. The first U14’s tournament took place at Medway Park on Sunday 21st January 2018. The girls came away with 2 wins and 1 loss and the boys won both their games. The next round takes place on Sunday 4th February with a new venue: Bower Park Academy, Havering Road, Romford RM1 4YY. Good luck everyone! The Sabres went into the game unbeaten along with London GD II in the South East ‘A’ league. London GD II started off strong with some solid attacking plays finding gaps in the Guildford Sabres defence and pulled away to an 8-2 lead early on. Francisco pulled off some fantastic saves to keep the Sabres in the game, and goals from Hector and Allan gave the team some much needed confidence. The GD II goalkeeper also produced some saves to keep their team ahead, and at half time, the score was 8-13. Going into the second half buoyed on by our wonderful supporters, the Sabres defence really stepped up and kept GD II relatively quiet bar a few fast breaks where GD II took their chances well. The Sabres missed four penalties which ensured GD II kept their lead in the game. Using the substitutes to great effect, GD II started to become frustrated and also gaps were beginning to open up for the Sabres. The GD II goalie again pulling off some wonderful saves to keep GD II ahead. Matt Lecour at RB had an excellent first half, but had to withdraw with an injury sustained to his head. The Guildford Sabres managed to reduce the score line to just three when again, the GD II made some strong saves from shots by Vasco, Tim and Sully. Thomas on the wing produced some fine defensive work and an excellent all round performance along with Pedro Martins playing in his first league game. Despite playing arguably our best handball of the season in the second period and actually winning the second half 13-12, this proved to not be enough for the Sabres to keep their 100% league record. A fantastic game where the players gave everything to the end against an experienced handball team. The feeling after was one of outstanding respect for each other and London GD II knew they had been in a tough game. We cannot wait for the return fixture on 4th February 2018 at the Copper Box, London. 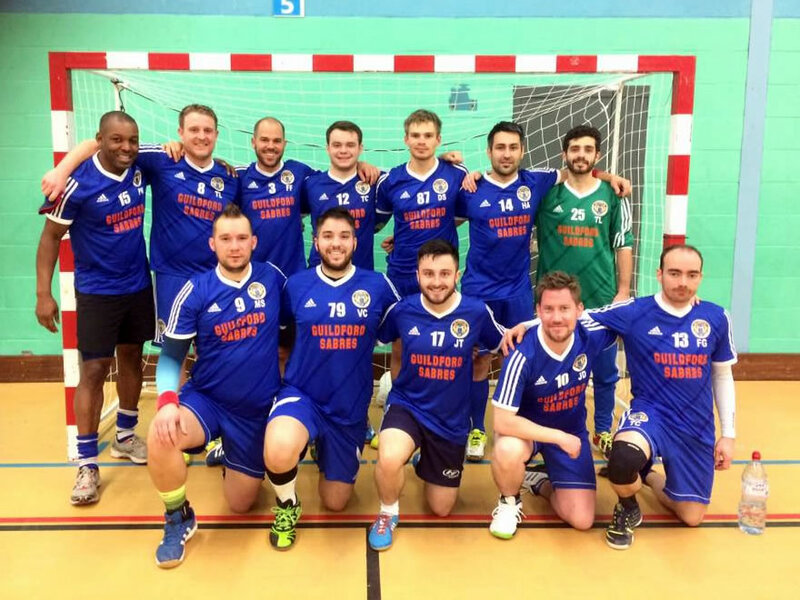 The Guildford Sabres men’s team took on Loughborough II’s in their first ever taste of cup action last Saturday in the England Handball Shield competition. The team were keen to start positive and implement what was covered in Wednesday’s training into the game. Again, we started slowly despite some early goals and were 8-7 up after 20 minutes. Poor decisions in attack cost dearly from fast-breaks, and Lufbra went into a three goal lead. A time-out was taken and the men regained their composure after some good feedback from the players. We started to move the ball a lot better in attack and be patient for the gaps. Against a younger team, we knew with some fast handball we could find the gaps and penetrate the defence. Going in at half-time at 18-14 up, we knew there was a lot of work still to be done. After a few substitutions, we started to show the same level of intensity and skill from previous games and started to pull away from our opponents. Goals from Hector, Matt and Anton were proving too much for any sort of recovery from Lufbra. Lufbra became frustrated, and their discipline faltered after a lot of 2 minutes suspensions. The Sabres capitalised on this and were ruthless in attack. Allan in particular finding a lot of holes in the defence to score 8 goals, most of them in the second half. League action returns on Sunday 7th January against London GD II at The Edge. Throw-off at 14.30. Coming off the back of two excellent away wins, Guildford Sabres were confident going into the game. A shaky start with a lot of handling errors saw Medway Dragons take an early lead and Guildford taking a while to find their stride. Our goalkeeper, Francisco, being called into action time and time again pulled off some excellent saves and Guildford were fortunate to go in the half time a goal up at 12-11. Goals from Tim, Hector and Vasco proving to give a small edge after a poor first half. After some emotive words said at half time, Medway continued to play effective in attack and used set plays to score some excellent goals. Guildford still making a lot of basic errors, were fortunate to be in the game. A much better period in the second half, Guildford pulled into a four goal lead and looked to pull away. Medway, who played so well in only their second league game of the season, refused to give up and pulled goals back to make the score 22-22. Using their last time out, and with both teams tiring, Vasco chipped in again with important goals to give a two goal lead with a minute to go. Despite Medway pulling a goal back, Guildford Sabres managed to hold on and win 26-25. Not the best performance, but happy with the win. Credit to Medway Dragons, they pushed us closer than any other team this season and we wish them all the best for the rest of the year. We move to EH Shield action next Saturday where both the men and women take on Loughborough II’s at Charterhouse. The Guildford Sabres men’s team took on Carshalton Titans II in a friendly match at Charterhouse. A very disciplined first half with goals from Fabio, Dan Sullivan and Hector proving to be the difference at half time. Starting the second half 19-13 up, Carshalton came back strong with some excellent goals from their young team. After a quick change in defence from 6-0 to 5-1, the Sabres gained their advantage again with great play from Allan Jard and Matt Lecour, who linked up well in attack to feed Tim and Hugo in the line position. Our captain, Vasco, led well throughout and linked up well with Francisco scoring some excellent goals from the right wing. An enjoyable game, and great to see some young English talent from Carshalton on the court. We look forward to playing the Titans again after Christmas, and wish them well for the remainder of the season. Final score Guildford Sabres 36:30 Carshalton Titans II. The Guildford Sabres Mens Team have won their first three Regional League Games after wins against Islington II and Chelsea. A further win against National League South team Reading Lions has capped off a great start to the season. The Guildford Sabres Women played their first game against a strong Reading side in a friendly. Unfortunately, it turned out to be a tough afternoon and they went down 28-15. The Women played their first league game against Chelsea HC and produced a well-disciplined performance to win 31-18. A superb effort especially with a few newbies in their first game. Special note to Lizzy – our 6th form student – who pulled off some great saves in goal. The Guildford Sabres U16’s played in their second tournament of the season. With Carshalton HC pulling out, the U16 boys had a chance to take top spot. After a good win against Chelsea, the boys played Islington. Missing a number of 7m’s proved to be the decisive blow as the boys lost 18-17 in what was a great game of handball. The girls won their first game against Islington 20-13 with Kira scoring an impressive 11 goals. The girls then played newcomers London GD in a tough game, unfortunately, going down 25-18 against a good GD side. The third tournament is on the 9th December (venue TBC) where look forward to seeing our U16 teams develop even further. The Guildford Sabres Men won their first league match 40-16 against Eastbourne on Saturday 7th October 2018 at The Edge Leisure Centre, Hindhead, Haslemere GU27 1QB. View league team and score sheets on the England Handball website. The first round of handball matches in the U16 Regional League South East 2 were held on Saturday 7th October 2017 at Charterhouse Club, Surrey. Guildford Sabres Boys winning 3 out of 4 matches and Girls winning 3 out of 3 matches. Congratulations to 2 boys and 5 girls who have been selected for the South East Regional Handball Academy. Friendly matches have been arranged on Sunday 1st October 2017. We are delighted to announce that we have registered our mens, womens, U16’s and U14’s teams for the 2017/18 season. This will mean we have six teams in our first full year as a club. Details will be on the site about next season as soon as we receive information from England Handball.